The Indian Grand Prix has been cancelled for next year but is expected to return in 2015. 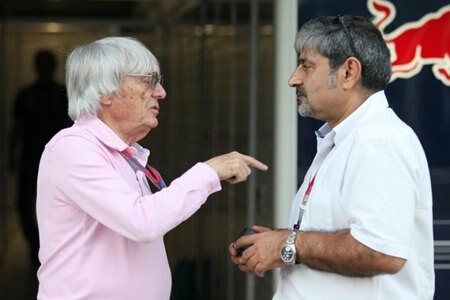 Vicky Chandhok, head of the Federation of Motor Sport Council of India (and father of ex-F1 driver Karun Chandhok), said the Indian event was being dropped because of an imminent reshuffle of the F1 calendar for next year. However, Chandhok said India was targeting a 2015 return, and the Indian event, which started in 2011, was not under any threat of being abandoned forever. “The race in 2014 is definitely ruled out and 2015 is what they are looking at,” Chandhok has avowed. Chandhok said F1 management wanted the Indian race to be held in March in the 2015 calendar instead of October, but it was impractical to have the race in October 2014 and then again five months later. The forthcoming calendar is already too packed, with proposed races in Austria, Russia and New Jersey in the United States, although educated bets are that the New Jersey race will not happen next year. The Austrian circuit is owned by Red Bull, so will definitely be on, and the Russian is to be held after the Olympic Games, and will be on too. Bernie has spoken! The Indian Grand Prix this year will be held on October 27.